Melt 50g of Sloane’s Ecuador Dark 70% chocolate beads with a little hot water and stir until fully melted. Add 300ml of Almond Milk, 50g of Frozen or Fresh Blueberries and a small cup of ice to a blended with the melted chocolate. Sloane’s Hot Chocolate’s Ecuador Dark 70% has hints of rum and fruit and their Ecuador Milk 39% has a creamy caramel taste. Both are made with the much sought after Arriba Nacional cocoa beans. And they are both available in Waitrose! 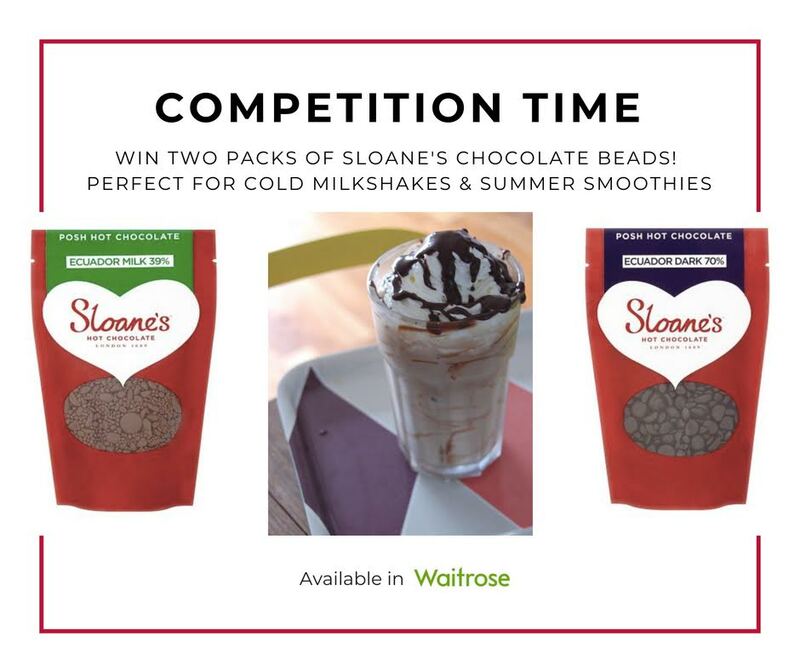 I am delighted that as a Summer treat, Sloane’s Hot Chocolate have given me THREE bundles of Ecuador Dark 70% Chocolate Beads and Ecuador Milk 39% Chocolate Beads, to giveaway – one for facebook, one for Twitter and one for instagram! 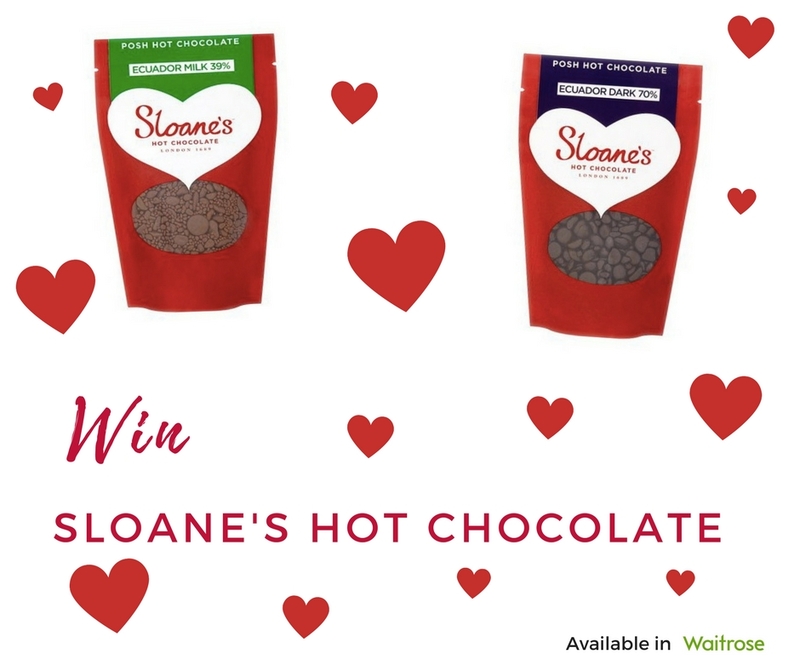 The twitter winner will be chosen at random from someone who follows me @SuzyPelta and @SloanesHotChoc on twitter and who has retweeted the competition information. There are no limits to the amount of twitter retweets and each twitter retweet counts as a new entry into the competition. However if you are not following @SuzyPelta AND @SloanesHotChoc your retweets will not count. – The competition starts at 3.22pm on 21st July 2018. – The competition closes at 9pm on 27th July 2018. – The competition is in no way sponsored, endorsed or administered by, or associated with twitter, facebook or instagram.